Well it seems that I under-estimated the degree of difficulty of the challenge handed you in my last post (March 6th). 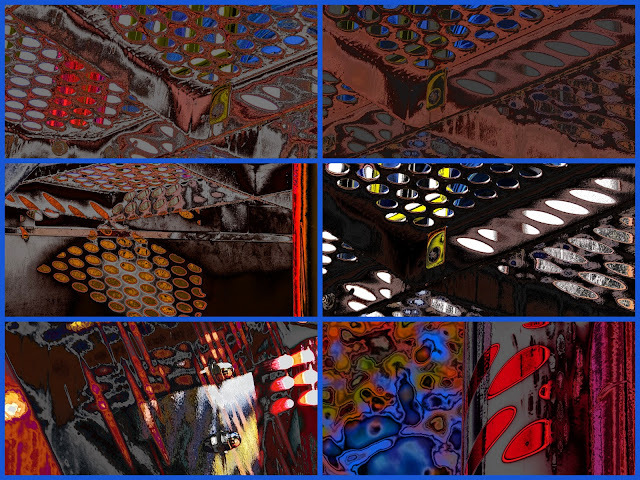 Perhaps because I had been gazing at the images for so long while editing them into abstract digital art, I became blind to the fact that it was hard to see through the abstractions to the real thing. 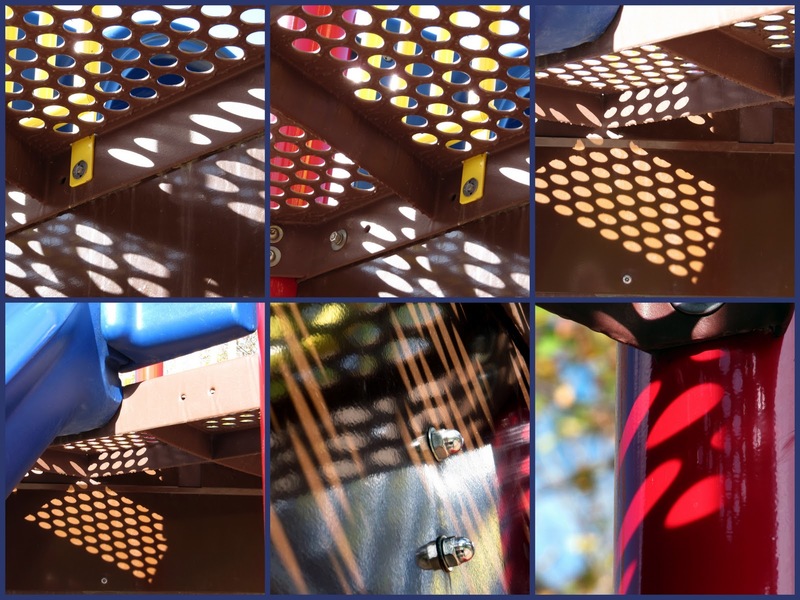 Some of you were close, guessing "grating", "stairs", but only Brian of WaystationOne produced an accurate guess of a playground apparatus. Congratulations Brian! There are stairs and grates in the apparatus, but the whole of the parts is a playground monkey bar set. 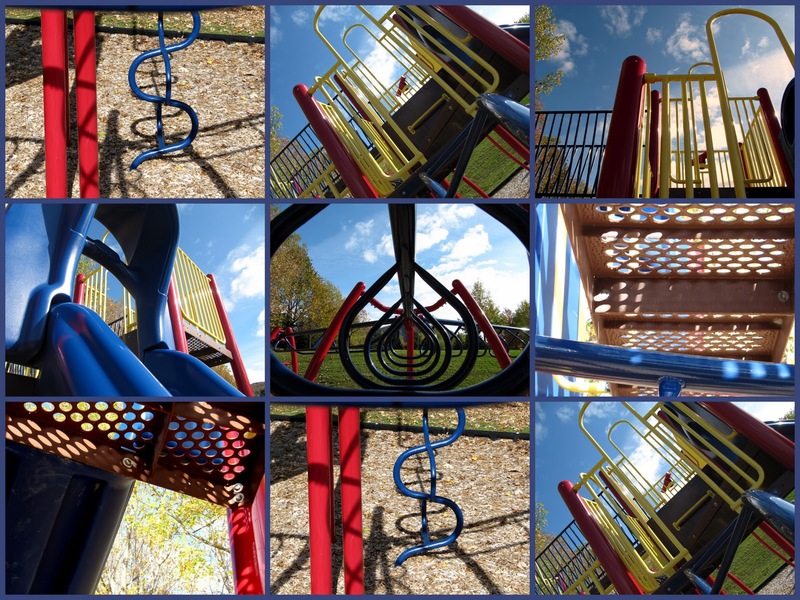 Now in this grouping, with fewer close-up shots, it is easy to see the playground apparatus! Because I inadvertently set you up for an exercise in frustration, I am going to offer all of you an opportunity to download the abstract collage! (Hope that is alright with you, Brian!) I am also making one of the individual abstractions available to you. I ask only that you not re-gift, sell or claim the work(s) as your own and that if you post it on your blog, you make a link back to Original Art Studio. Thanks. To download the above abstract collage, click HERE. 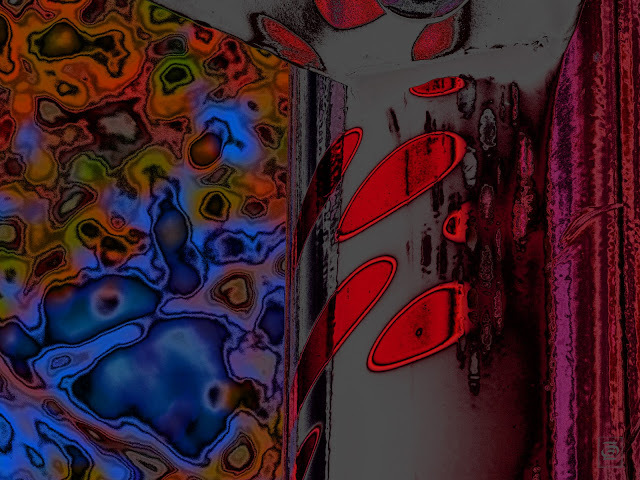 ﻿To download the above digital art abstraction, click HERE. woot...can you tell i have kids...lol....free for all, yay! smiles. Well, I don't know how I missed the last few posts... Brian would have had a run for his money as I have spent my "time" underneath these fantasy playgrounds as well. (I remember my "dangerous" and colorless playgrounds when I was young. We LOVED to try to thump the other kid off the end of the teeter totter. I still don't understand how to do layers and textures. Kim Klassen's class is around the bend. I can't wait!